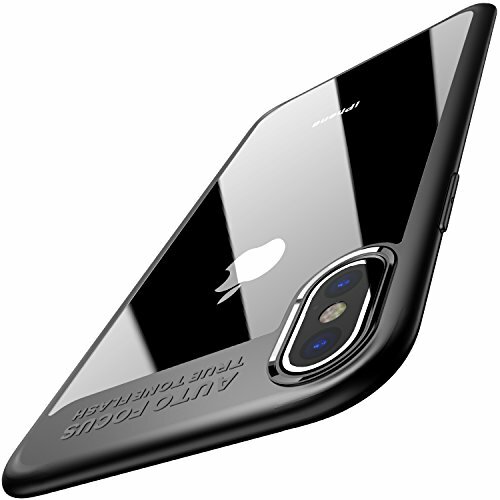 About ProductThe transparent cover has a special coating that prevents discoloration so your phone can always shine through. 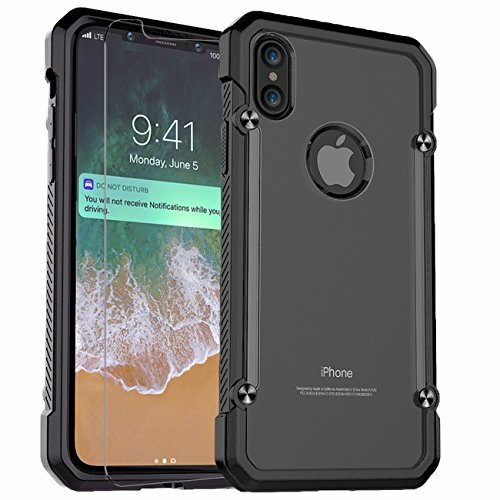 In addition to its slim fit and lightweight design, the Skyfall case features tactile button covers and a raised lip that protects the camera and screen on the iPhone X. 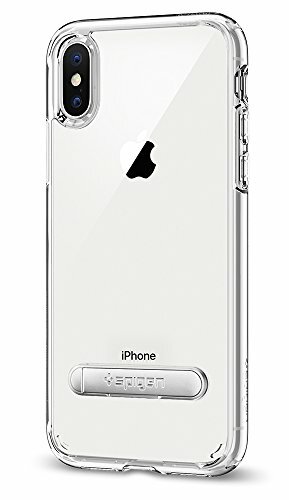 This versatile case is perfect for everyday use and provides long-lasting protection so you can use your favorite apps, perform important tasks, text friends and snap photos safely.Feature:Anti-Scratch Resistant - Scratch-resistant protection with clear transparency keeps the design of your iPhone 10.Slim Look - Slim and lightweight case. 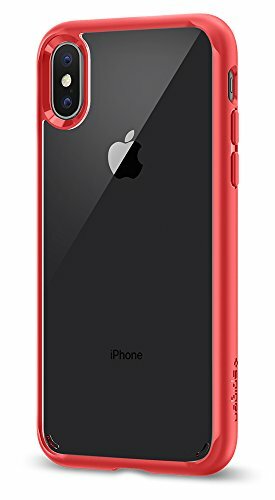 Easy to hold by hand or in your pocke3Raised Bezel - Raised edges around camera,ports,and front display screen.Shock Absorbing - Impact-resistant TPU and polycarbonate layer for reinforced protection.Perfect Fit - Compatible with most third-party iPhone X screen protectors, headphones & other accessoriesWarrantyWe provide 1 year after-sale service,it is safe for you to buy this case,your positive feedback is our laggest drive,if you have any question welcoem to contact us,thank you! iPhone X Case,PC + TPU Hybrid Ultra-Thin [Wireless Charging] Military Grade Shock Absorption Hybrid Armor Defender Protective Case Cover with Built-in Screen Protector for Apple iPhone X. 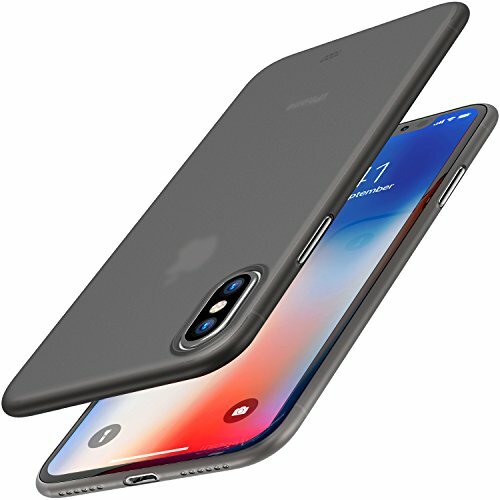 Perfect Compatibility: Designed Specifically for Apple iPhone X (2017 Edition) 5.8 inch ONLY. 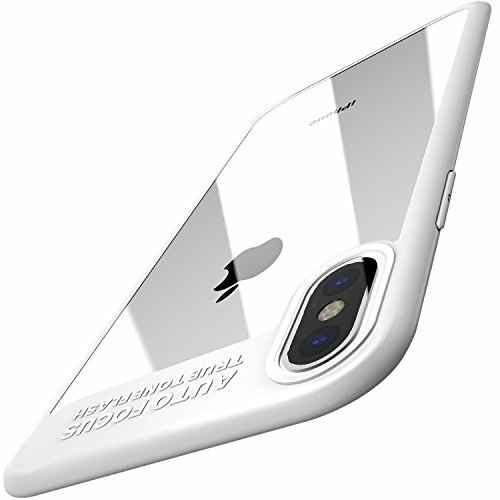 Not for Apple iPhone 8 / 8 Plus.Support wireless charging. 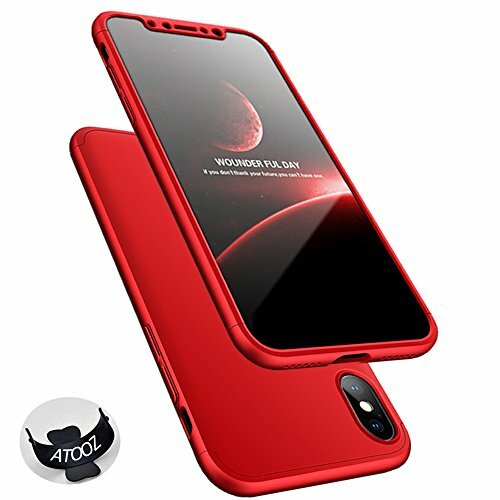 Seamless Design: Hybrid Technology TPU Edge Matte Soft Bumper + Translucent Matte PC Back Panel provides long-lasting protection from scratches and scrapes, easy grip and slim profile. 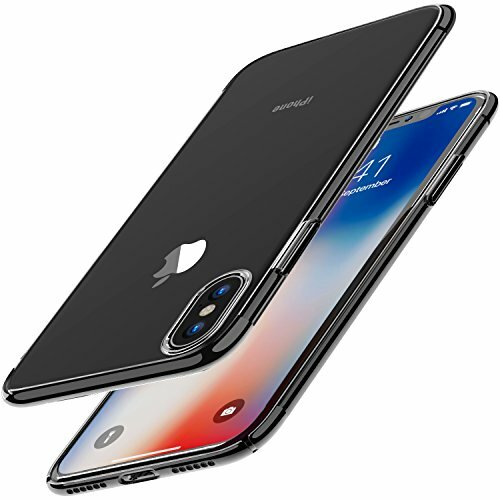 Full Access: Responsive buttons and true to size precise cutouts allow full functionality and centered ports for easy charging and function access to all iPhone X feature capabilities. 360 degree protection: Military Drop Tested. 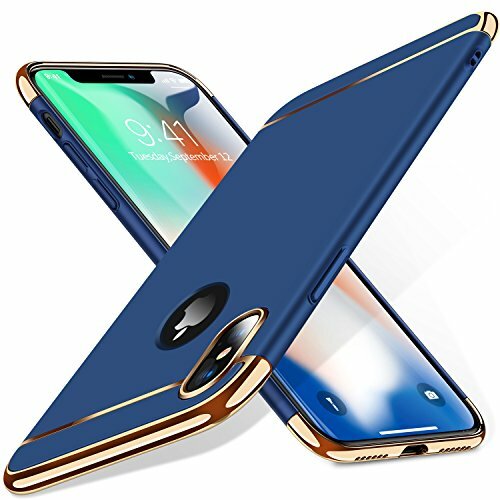 Maximum keep your Phone slim and provide Shock protection. Front cover with built-in screen protector prevents scratches without compromising sensitivity. Quality Service: All materials are harmless to the environment and kids. 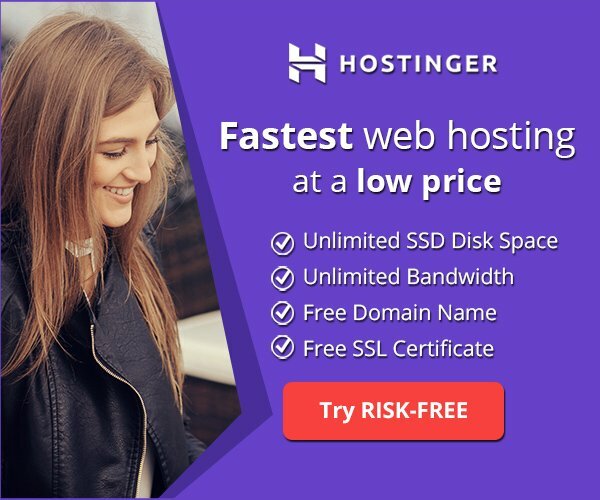 100% risk-free satisfaction guarantee and 24 hours after sells service team for consultation and problems solved. Design Features:1. 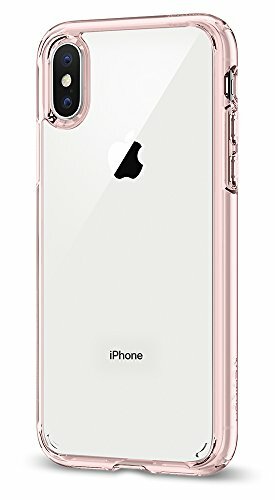 For Apple iPhone X Case, NASDOM Slim Hybrid Premium Shock Absorption Soft TPU Bumper + Scratch Resistant Hard Crystal Translucent Matte Back Panel Protective Cover Skin + Tempered Glass Screen Protector.2. A raised lip and easy to press covered buttons offer added protection while all cutouts are precisely cut and large enough for easy access.3. The non-slip grip makes it comfortable to hold and won't easily slip out of your hands.4. 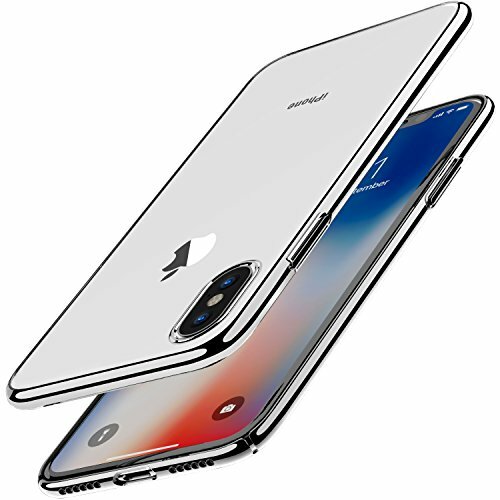 From its built-in screen protector that ensures you don't have to go hunting for a separate protective accessory, or deal with the hassle of screen protector installation5. All features combine to create a slim, lightweight, but fully protective case that looks good and will last.Package Include: 1 x Outer Package1 x iPhone X Case (2017)1 x iPhone X Screen Protector Tempered Glass 1 x Wet / Dry Cleaner1 x Dust Remover stickerPlease Note:-Design for iPhone X Case (2017 Release) ,Not fit any other models. 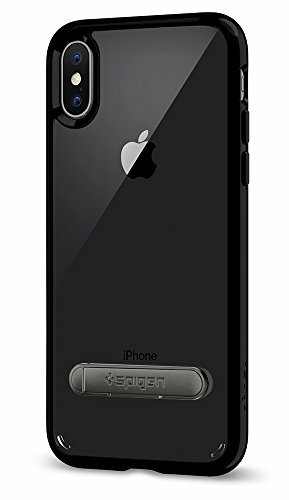 -Accessory only, iPhone is NOT included.-We strive to offer you the best value and service possible. Please let me know if you have any issue about our products, our team will provide best service to you. PERFECT FIT - Specially designed for iPhone X, has precise cutouts for speakers, charging ports and buttons. 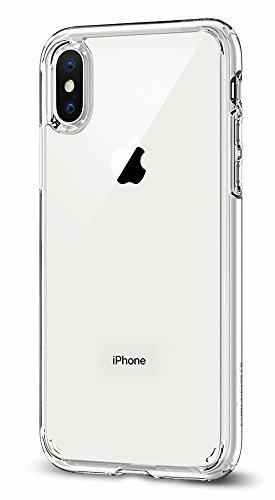 New Design Hybrid Technology TPU Edge Matte Soft Bumer + Clear PC Back Panel. Great Grip Feeling Simple, elegant. 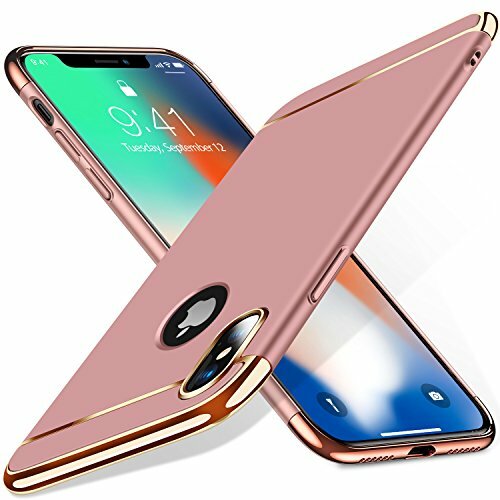 Phone case features a refined design, Maximum keep your Phone slim and provide Shock protection. 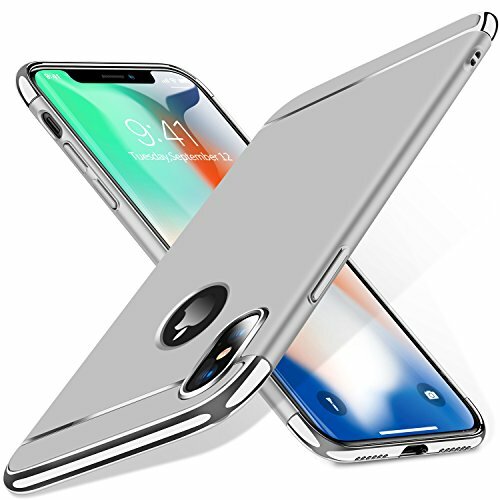 Clear Back Panel Cover keep your phone original color and Mirror effects 360 Degree PROTECTION - including 4-side protection, covered corners and a raised edge to protect the screen for your iPhone X (2017) inch. 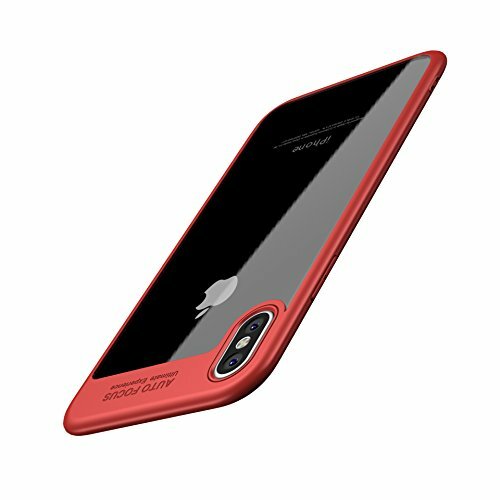 PERFECT FIT - Specially designed for iPhone X, has precise cutouts for speakers, charging ports and buttons. High-quality Germany hardness PC material, Elegant & Generous & Modern designs, Great Metal textured to touch, Smooth & anti-Slip.